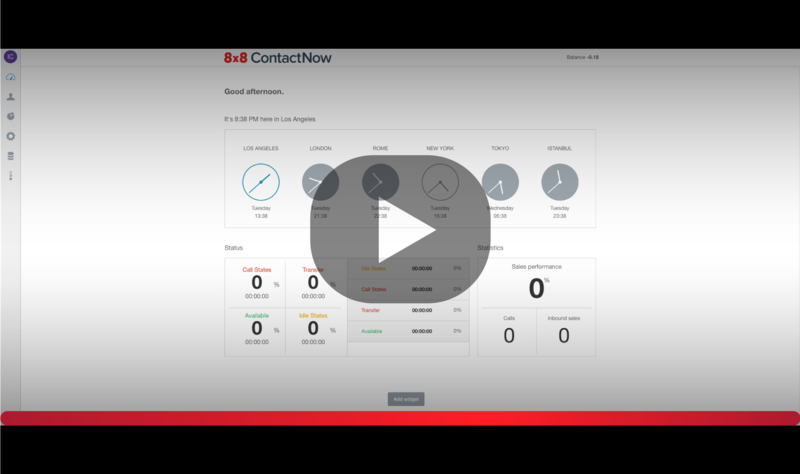 Getting Started | 8x8, Inc.
Get to know some of ContactNow’s basic terms. 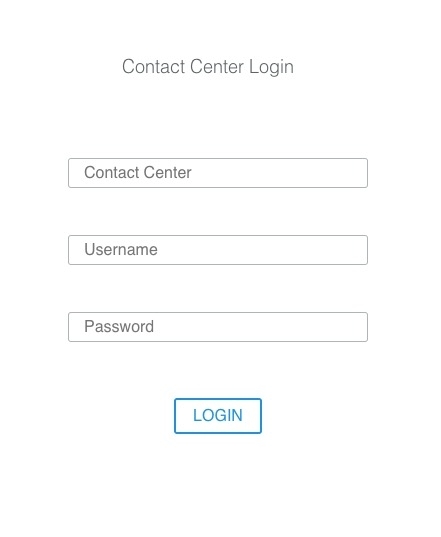 Go to ContactNow’s login page. Enter the name of your Contact Centre, which is provided by your company. Then enter your user name and password. 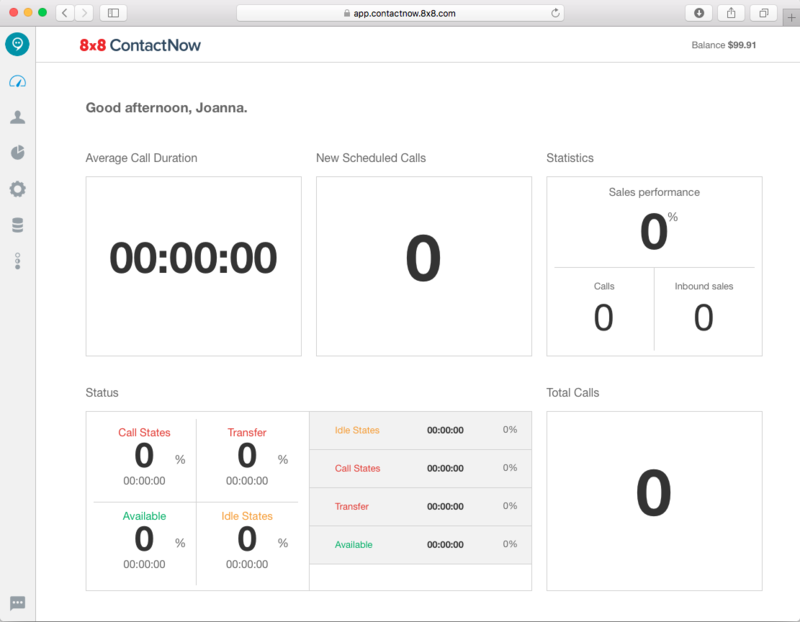 The Navigation bar on the left side of the screen provides a quick way to explore ContactNow’s main features, including Dashboard, Agent, Analytics, Configuration, Data, and Status. Icons display based on the user’s permission levels. Hover over an icon to display a Tooltip, which shows the icon name and section content.